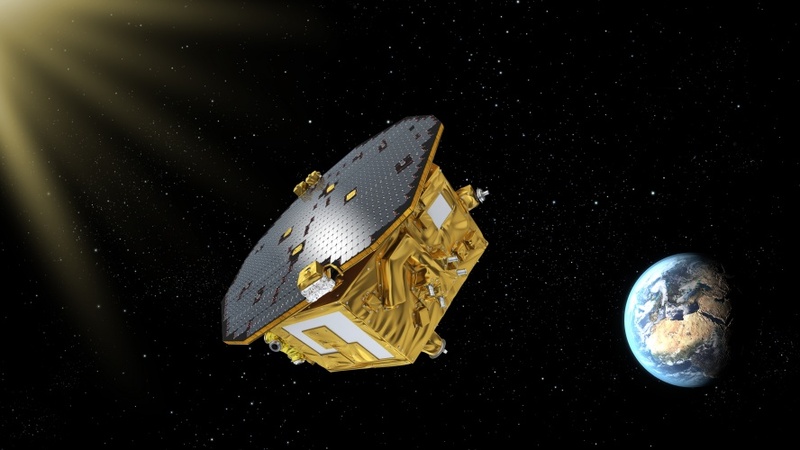 The European Space Agency’s (ESA’s) LISA Pathfinder has successfully launched from Kourou, French Guiana, beginning its mission to observe gravitational waves from space. Led by scientists and engineers in the UK, the project will see Pathfinder travel 1.5 million kilometres towards the sun, where it will enter into orbit around a virtual point called L1. From here, it will attempt to detect gravitational waves – ripples in space time that arise from some of the most spectacular and important events in the universe, such as supernovas and double black holes. To do so, Pathfinder is equipped with a unique onboard laboratory. This consists of two identical 46mm gold-platinum cubes, separated by 38cm. The cubes will be isolated from all forces other than gravity, and their relative positions will be measured to within a billionth of a millimetre by a complex system of lasers. 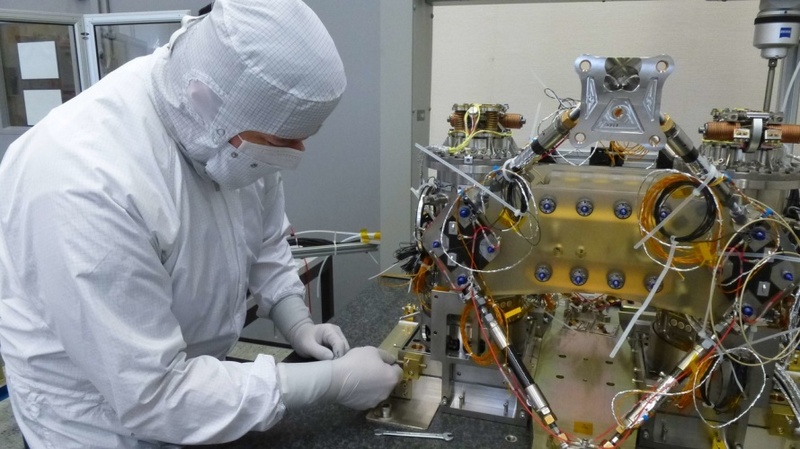 Engineers at Airbus Defence and Space in Stevenage assembled the spacecraft, with SciSys UK developing the onboard software. Meanwhile, scientists from the University of Birmingham, the University of Glasgow and Imperial College London were involved in the design and build of the LISA Technology Package (LTP) that will take the measurements. It marks the first time an ESA mission has been led from the UK since the Giotto spacecraft that observed Halley’s Comet in the 1980s. Pathfinder is expected to take around 10 weeks to reach its operational orbit, and scheduled to begin its six-month scientific mission on 1 March. If successful, it will not only provide further confirmation of Einstein’s theory of general relativity, it will also pave the way for a much bigger mission, involving three cube-equipped spacecraft separated by 5 million kilometres.